wind 230/10 with low cloud to start. Cloud lifting later to around 1500ft. Good to see so many club members out and taking advantage of the improved weather. The course is progressing well and Alistair Worsley went solo for the first time, congratulations to him. Pat and Roger kept the club show on the road and several pilots had refresher flights and resoloed after a winter break. 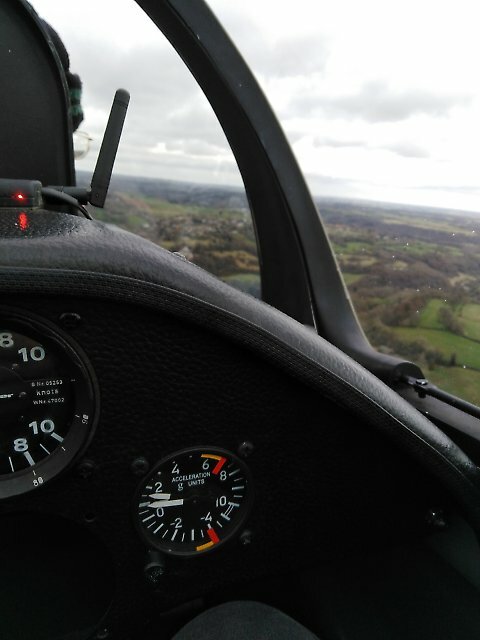 Simon 9our CFI) undertook a number of refresher flights in the k13. 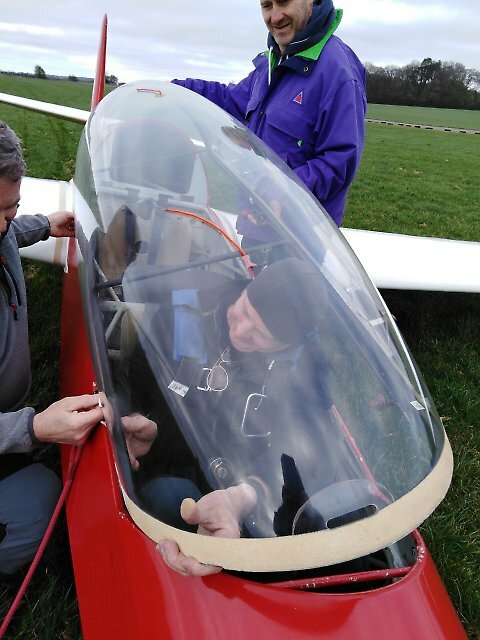 The pictures show Alistair preparing to launch and Collin being helped to refit the K13 canopy after it accidentally slipped forward off its pins. winds 250/15, low cloud to start lifting pm.Early mist. Another great day, Alistair and Howard are now flying unprompted circuits and have practised a wide range of stalls and unusual attitude rcovery. 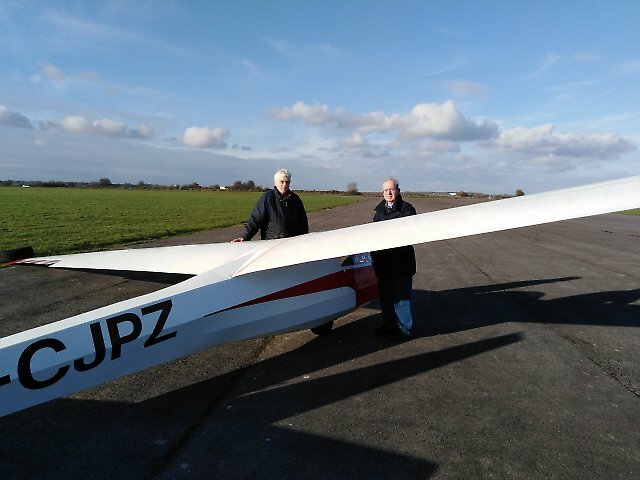 Eric and David flew the K18 for the first time, well done to them. many thanks to Robin for help and advice. Welcome to Howard Bunn ( a returnee from last year) Alistair Worsley (a newbie to CGC) Eric Lomas and David Hart who are CGC solo pilots. 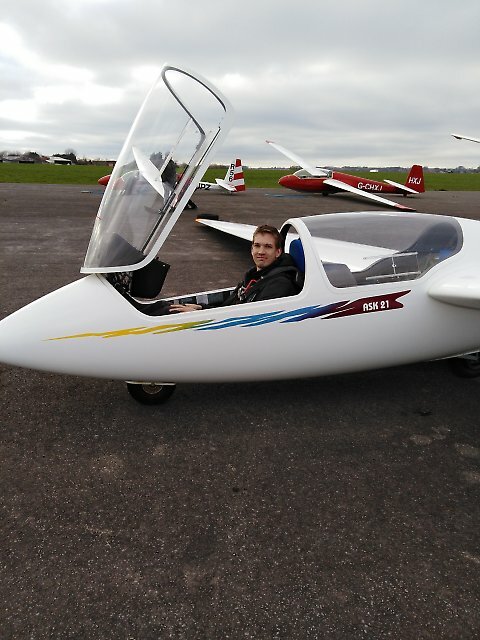 We managed to get flying and Eric and David resoloed after a winter break. Alistair and Howard pressed on with the presolo syllabus. Briefing in the evening was on approach control followed by a pleasant meal in the club room. Wednesday 13th and Storm Gareth is on us. Strong winds, 40 knots at flying heights and gusty. Despite that, I am always amazed at the many different activities happening around the club. Dave Roberts , Roger Bagley and directors of Aston down farms are deep in conversation unravelling the intricacies of the club finances and CASC. Simon our CFI meanwhile giving us guidance on various changes within operations. Richard fixing stuff and planning what he is going to fix next. Robin Birch quietly humming to himself while he fettles gliders. Mike and assistant from Skylaunch now servicing the 2nd winch. Welcome to Grant Needham who has returned from his overseas travel in his mobile home (5000 miles worth of travelling). Dave, Gill and I continue to prepare for the season start on Monday.-----A quiet day really! Thanks everyone, where would be without you. Wind rain and sunshine. We had it all today. The usual suspects floating around the club and making sure it all runs smoothly. Gill Dave and I are busy getting everything in place for the new course season that starts on Monday. The weather for club day tomorrow is lloking a little problematic, but there will be classroom training available if flying is not possible. Dont be shy, come along and join in. 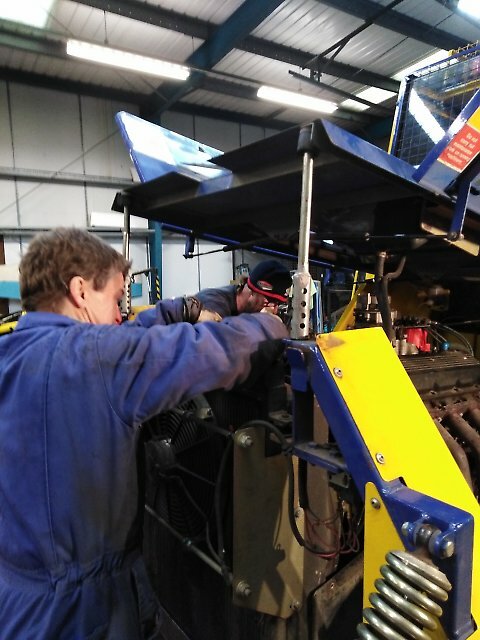 Meanwhile Mike and his team from skylaunch have been busy servicing the winches and Mike treated some of us to a mini masterclass in winches and winch systems. Very interesting, thanks Mike. The servicing of the 2nd winch will happen tomorrow and some trials are planned for Thursday. Sorry, no chance of flying today, rain with strong winds later. Well, today's forecast was spot on. At around 9.45, just as promised, the grotty low cloud and mist that had engulfed the airfield cleared and half an hour later we were able to get airborne. The first couple of flights were spectacular - launching to 1,500' we were bathed in sunshine 500' above cloud. Thereafter, the air scouts and UWE students had some interesting flights getting to grips with the strong breeze. John and Andrew on the one day course enjoyed their flights with Eugene in the DG. Many thanks to Craig Mustoe and David Howell for some first-rate winching. A busy Wednesday with two K21's, K23 and K18 enjoying the bright sunshine, Given the forecast this looks like the last of the run of sunshine. The Wednesday group were joined by five UWE students who took advantage of the calm conditions to practice circuits. Sam and Dan added to their solo count, George and Ben notched up more time in the K23. 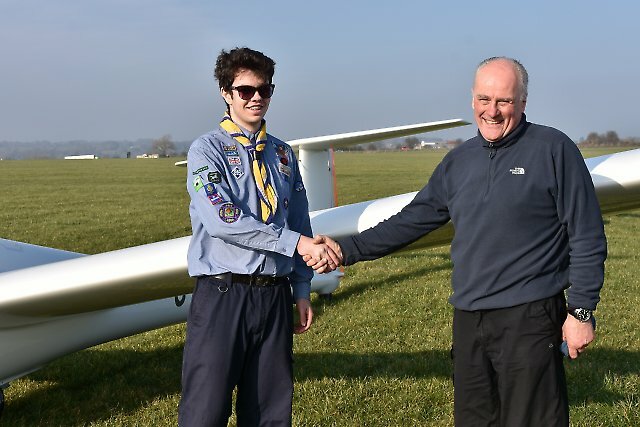 After flying Ben passed his Bronze oral test to complete his bronze, We hope we will get more sunny weather soon. A busy day with winch and Aerotow. Well done to Sam Winfield on his first Glider solo and Ben on completing his Bronze Flight Test, the last hour of the day was Aerotow only due to winch problems. 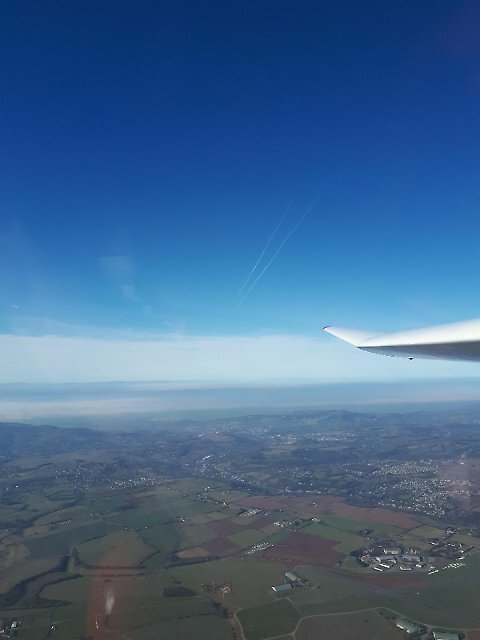 Steve Glassett's view from a 4000ft Aerotow.